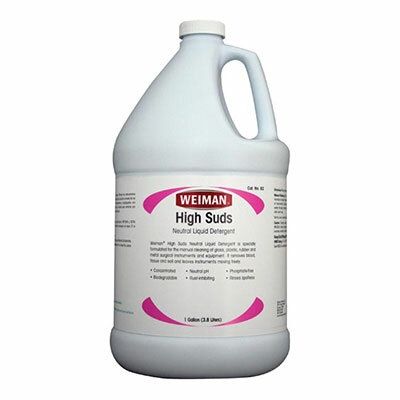 Weiman’s powdered and liquid neutral detergents are used for cleaning surgical instruments and glassware, plastic, rubber and metal. A high sudsing powder or liquid concentrate detergent is used for manual washing of instruments and glassware. A low sudsing liquid detergent is used for manual washing when visibility through water is important.